As you prepare for Valentines Day, the Capital Area Humane Society are offering you some unique gift ideas that can not only support the Capital Area Humane Society, but will also bring a smile on the face of all those that receive the gifts. LANSING, Mich. — As you prepare for Valentines Day, the Capital Area Humane Society are offering you some unique gift ideas that can not only support the Capital Area Humane Society, but will also bring a smile on the face of all those that receive the gifts. 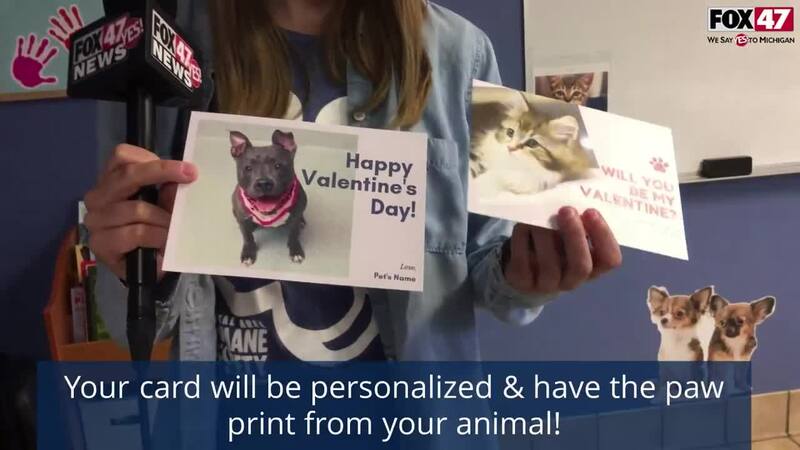 They are offering a postcard program where for a $5 donation or more can give someone a special card for the holiday (with the paw print of the pet on the card included. For $50 or more you can have a pet come out to meet your loved one for their Smooch a Pooch program.